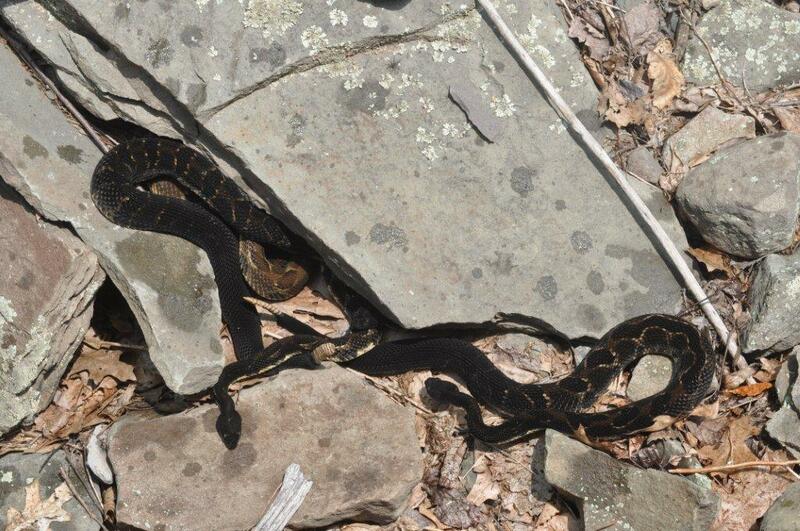 Lions and Eagles and Snakes...YIKES!!!!! 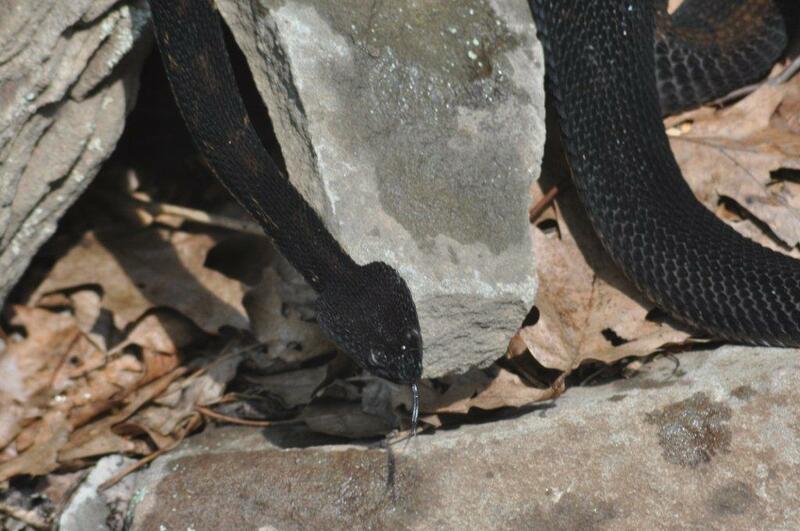 While testing on the NYSW Central New York Div, we saw a variety of wildlife ranging from a mountain lion, turkeys, a Bald Eagle, and a den of SNAKES! This reminded us that it is THAT time of the year that one needs to be extra careful while getting on and off the Sperry cars and to always be aware of your surroundings!! YAZOO CITY, MISS. -- Underscoring its leadership in "conservation capitalism" -- the growing understanding that environmental progress and American business are closely linked -- Norfolk Southern signed a $5.6 million, five-year reforestation and carbon sequestration agreement with GreenTrees LLC and planted a ceremonial first tree at the Rick Lowery Farm here today. Under the program, NS and GreenTrees® will plant 6.04 million trees on 10,000 acres in the Mississippi Delta area served by the railroad, significantly offsetting the company's CO2 emissions while creating a national environmental legacy. GreenTrees is the leading reforestation program on private lands in the United States today. Recognized as one of the most innovative developments in the fight to revitalize the nation's ecological health, GreenTrees is at the cutting edge of the new industrial revolution - making conservation a business. Of the agreement, NS CEO Wick Moorman said, "Norfolk Southern as a company is dependent on carbon-based fuels and other natural resources. We use them, and we transport them for our customers and communities. Fortunately, rail is the safest, cleanest, and most efficient transport mode. Where we are evolving is in our ability to serve as a balancing force in protecting the environment. The GreenTrees initiative is a substantive long-term commitment to doing just that." GreenTrees Founding Partner Carey Crane said, "Norfolk Southern becomes our newest and largest investor. NS and our other sponsors are far-sighted in their responsible stewardship of North America's 'Amazon' - the Mississippi Alluvial Valley (MAV). The recent flooding across that region highlights the future national benefits that will flow from putting trees into the ground on scale there. 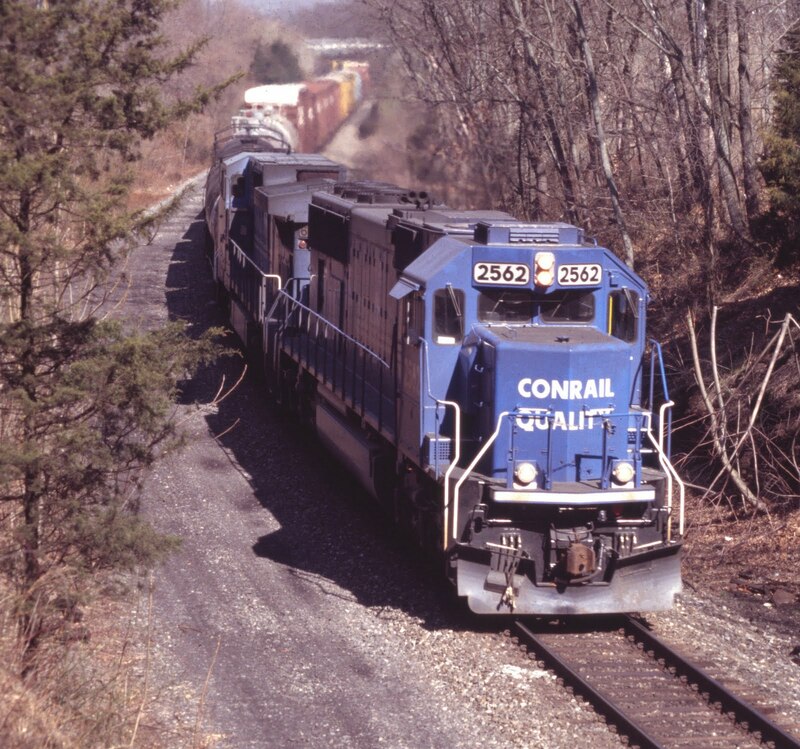 We are pleased to be leaders in conservation capitalism with Norfolk Southern." The NS-GreenTrees program calls for planting native hardwoods and cottonwoods on privately-owned acreage in Mississippi and Louisiana. The land is in a region served by NS and its predecessors since the earliest days of railroading in the U.S. To put it in perspective, the plantings will represent 211 trees for every NS employee, 299 trees for every mile of NS track, or 1,450 trees for every NS locomotive. Chandler Van Voorhis, GreenTrees managing partner, added, "We take one acre at a time and compress time and space to accelerate forest growth by six to eight times in the critical first 15 years, creating an ecologically healthy and permanent forest in an area that is central to our national ecosystem interests." Over time, the trees should deliver more than a million carbon offsets. "That's good news for all of us who enjoy breathing, and it's a solid financial investment for NS," said Blair Wimbush, NS vice president real estate and corporate sustainability officer. "This isn't mere landscaping - it goes beyond anything else in the transportation industry, and its impact will be felt for generations to come." Restoration of the MAV will support the commercial, climate, and energy interests served by America's longest river. At the same time, it will protect wildlife habitats, improve water quality, and forestall soil erosion and nutrient run-off. The program will help conserve land in the hands of family owners and farmers, as the NS trees will be planted on private tracts under long-term leases. Today's announcement complements other components of Norfolk Southern's carbon mitigation strategy, including partnerships and financial support for non-profits and coordination and collaboration with government and non-government organizations. In 2008, for example, NS permanently protected some of the most ecologically significant land in the world when it granted a conservation easement on 12,488 acres of its Brosnan Forest timber and wildlife preserve northwest of Charleston, S.C. The easement, one of the largest in the Southeast and the largest ever by a corporation in South Carolina, protects the dwindling longleaf pine ecosystem and endangered bird species, preserves forever the rural character of the area, and conserves the Four Holes Swamp ecosystem and Edisto River watershed. As another key element in its woodlands conservation initiatives, NS is supporting research by The Longleaf Alliance, which seeks to restore the tree's forest ecosystem. The longleaf pine once dominated the landscape of the South and to some extent even its culture, occupying 90 million acres in nine southeastern states. Over-exploitation has reduced that footprint to 3.5 million acres - a loss comparable to that experienced in tropical rain forests, redwoods, or America's wetlands. NS also supports the American Chestnut Foundation in its efforts to reintroduce that tree species to native forests. Before being decimated by blight, the American Chestnut was an integral part of the lumber economies of many eastern U.S. communities, and it was a key source of food for wildlife. "When NS originated some 180 years ago, one of the first things those early railroaders did was acquire the land needed to satisfy the demand for wood to build tracks and bridges and buildings and even to power the first primitive locomotives. In 2011 we're taking the lead in finding practical ways to be a positive force for the environment," said Megan Garry, NS manager corporate sustainability. "That's a remarkable turnaround, which underscores our belief in the major role that business can play in conservation." ...I managed to get some quality time in trackside to take advantage of Saturday's sun. After pitch forking out the first load of pruned tree limbs at the yard waste facility, it was off to Three Bridges to hopefully photograph CP 38T. I had heard that today's motive power would be a CP and two Iowa Chicago & Eastern lash up. At Three Bridges, a headlight appeared shortly after my arrival off in the distance. Could this be 38T? That question would soon be "Nahhh...!" It was NS 212 with a freshly repainted NS 2573 (ex-CR 2573; SD 70), NS 9422 and NS 6651. At 10:52 another headlight would appear. This train was an NS intermodal with NS 9177 as its leader. With that train's passage, I decided time to head up and take another load of branches to the facility. After dumping this second load of limbs, I decided to see what, if anything, was running at the Waterworks grade crossing in Bridgewater. Looking west from the grade crossing, MA80 was holding in Manville yard waiting to head east with its consist of coil cars. Off in the distance, I spotted the elusive 38T holding on the LEHL. Hmmm... that must mean something must be coming off the Trenton Line. Shortly thereafter, CSX 702, with CSX 846 and CSX 7340, would bring its consist of empty trash containers east over the LEHL. Once 702 had cleared, 38T was given permission to proceed east with its consist of eight empty hopper cars behind three SD40-2s. Motive power on 38T was CP 5908, IC&E 6446, dubbed the "City of McGregor" and IC&E 6214 still wearing faded CP colors. 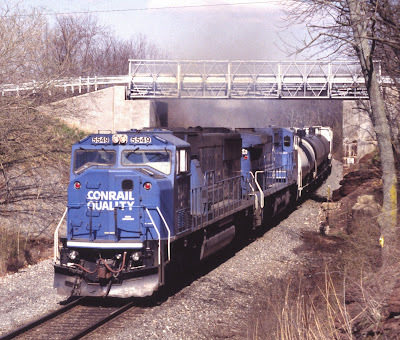 Back when I was a student in Kings College in Wilkes-Barre (PA) in 1980, I read about a CR derailment that had occurred in nearby Pittston. With camera in hand, I cut two morning classes to get some photographs of the clean up operations that where taking place. Seen here is CR's "Big Hook" 45213 assisting in getting this ATSF boxcar back on its truck. Off to the left is CR 2663 (U25B; ex-PC, ex-NH 2503) and barely visible CR 3227 (GP40; ex-PC). Looking at the boxcar's slogan of "Super Shock Control", one hopes that shock control was sufficent for its cargo to withstand this derailment. Two articles about alleged price-fixing by UP and BNSF. The first article is a combination of Associated Press (AP) articles that were reported in several newspapers on June 7 & 8. The second article, which goes into more detail, is from an Omaha newspaper on June 9th. OMAHA, NEB. — Oxbow Mining is filing a federal antitrust lawsuit against Union Pacific and Burlington Northern Santa Fe, saying the railroads conspired to raise prices on customers like the Colorado coal mine that Oxbow runs. In the suit filed Tuesday (6/7/11) Oxbow says the two biggest railroads in the western U.S. worked to avoid direct competition with each other to keep rates high. Oxbow’s Chairman and CEO Bill Koch says the railroads have been systematically gouging their customers for years, and higher shipping costs are passed on to consumers. Oxbow also complained that the fuel surcharges both railroads charge aren’t based on costs and simply help the railroads raise shipping rates. Union Pacific spokesman Tom Lange said Wednesday the Omaha-based railroad denies the allegations and says the lawsuit includes several factual errors. Lange says Oxbow has been threatening to file a lawsuit if UP didn't agree to significant concessions. BNSF spokesman Steve Forsberg wouldn't comment on the lawsuit itself Tuesday, but he defended the Texas railroad's business practices and said BNSF has not conspired to violate any law. Omaha-based Union Pacific Railroad rejects allegations in a lawsuit that accuses it and BNSF Railway Co. of breaching federal antitrust laws by colluding with other major railroads. BNSF also rejects the allegations. Union Pacific Railroad on Wednesday vehemently rejected a lawsuit's claims that the Omaha-based railroad and BNSF Railway Co. breached federal anti­trust laws through price fixing and collusion with other major railroads. The lawsuit, filed Tuesday by Oxbow Mining, an international mining and energy company, said U.P. and BNSF, whose parent company Burlington Northern Santa Fe Corp. is owned by Warren Buffett's Berkshire Hathaway, benefited from establishing steep fuel surcharges and preventing customers from negotiating long-term deals. Both railroads are major employers in Nebraska. Lange said U.P. has not violated antitrust laws or conspired with other railroads named in the lawsuit — BNSF, CSX Transportation and Norfolk Southern — to reduce competition or fix prices. U.P. has addressed similar legal accusations since 2007. Many of those allegations are related to the Staggers Rail Act, which was passed in 1980 by Congress to limit competitive regulation on a financially strapped railroad industry. Now that railroads are seeing record net income and increasing profit margins, companies like Oxbow say those rules need to be reformed to increase competition and drive down transportation prices. The same issue will be addressed at a federal Surface Transportation Board hearing on June 22. The Surface Transportation Board is the agency that regulates the country's railroads, and the hearing is expected to involve trade groups and companies, including railroads, chemical companies, mining firms, paper manufacturers and grain and feed representatives. “We intend to vigorously defend our actions against Oxbow's allegations,” Lange said. According to Reuters reports, there are multiple similar cases claiming excessive railroad fuel surcharges that are awaiting a decision from the same U.S. District Court in Washington, D.C., on whether they should be combined and given class status. Whether through legal action or political reform, the rail industry could see changes coming down the tracks. A report last fall from the Senate Commerce Committee suggested that the federal government should take a look at the new, profitable economic landscape for rail operators and consider policy changes that might be needed to draw down prices and bolster competition among the nation's major railroad operators. The following article was published in The Star-Ledger on Tuesday, 6/7/11. In the not-too-distant future, a commuter going from Newark to Hamilton might board a Minute Maid express train and take it to Sprite Platform at Coca-Cola Transit Center. Such an itinerary could result from NJ Transit’s intention to sell advertising rights to its stations, terminal facilities and locomotives. This planned sale of naming and product-advertising rights has set off a frenzy among companies trying to pay NJ Transit tens of millions of dollars to broker the potentially lucrative sales. It also has led to a formal protest from one bidder, who contends the transit agency would leave almost $12 million on the table by renewing with the advertising company that now holds the contract. Craig Heard, president and CEO of Gateway Outdoor Advertising in Hackettstown, said NJ Transit did not allow his company into the final round of bidding even though Gateway's $65 million offer of guaranteed revenue was nearly 20 percent more than the $53.3 million guaranteed by the current contractor, the Titan Outdoor advertising agency. Gateway filed a protest that prompted NJ Transit to pull an agenda item — awarding Titan a five-year contract — from Wednesday’s NJ Transit board meeting. NJ Transit spokeswoman Penny Bassett Hackett said Monday the agenda item has been removed while the formal protest proceedings take place. “The companies have a right to protest,” she said. Under NJ Transit’s guidelines for the five-year contract, the “advertising revenue contractor" would pay the transit agency a designated share of its net billings — or the guaranteed amount — whichever is greater. The exact percentages vary from bidder to bidder, but both Titan and Gateway would guarantee NJ Transit at least a 60 percent cut of the billings. Selling advertising space on bus, rail and light-rail equipment, stations, platforms, terminals and trestles decreases reliance on subsidies and fares, said the agency, which last year imposed a record-tying average fare hike of 22 percent. The naming of transit stations after corporations and selling space on the outside of trains for sponsors was once unthinkable, but challenging financial times call for creative measures. Mets fans no longer attend games at Shea Stadium; they see baseball at Citi Field. Travelers on the Garden State Parkway could soon see advertising on toll booths. Heard estimated the naming of a major transit station, like Newark Penn Station, could bring in $2 to $3 million per year. Heard said Gateway made it to the final four of bids, but despite making the highest offer, was not one of the two finalists, nor was final four contender CBS Outdoor Advertising. He said the final two were Titan and Interstate, which mainly do billboard advertising. Proposals from potential bidders were weighted, with 60 percent of the final score to be awarded for "financial return to NJ Transit," leaving Heard perplexed over how Gateway didn't make the final round. “Why wouldn't you invite four good and strong companies, let them all fight it out and get the most for taxpayers?" asked Heard, who in the '80s was CFO and president of a company that persuaded NJ Transit to put ads on its buses. Representatives for Titan, which has an office in Fairfield, didn't respond for comment. The website for Titan, the largest transit advertising company in North America, shows examples of its work, including an ad with a giant screw on the side of a bus and a hanging banner ad outside the Guggenheim Museum in Manhattan. The Metropolitan Transportation Authority in New York last year terminated its advertising contract with Titan Outdoor Holdings. It replaced Titan with CBS Outdoor after Titan defaulted on its contract by failing to pay about $20 million due to MTA for 2009-10, according to the authority. Gateway, which has 30 years experience in transit advertising and handles contracts in New York, Tennessee, North Carolina, California and West Virginia, used MTA as a reference. Among its ideas, Gateway wanted to open four offices in New Jersey, creating 35 new jobs, and give frequent NJ Transit customers reward points that could be used for gifts or discounted rides. Back in April, 2001, I was down on the Trenton Line (TL) at the Belle Mead station when I photographed this northbound CSX mixed frieght. 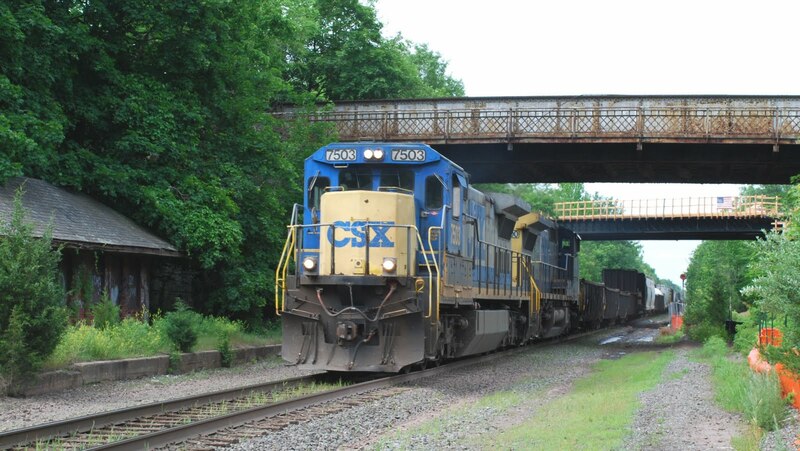 It had as its leader CSX 5008 (AC60CW) and an unidentified CR unit. 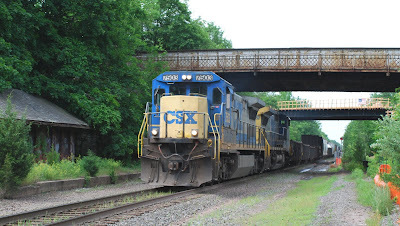 Fast forward to the same location on June 5, 2011 and there is another mixed CSX freight. CSX's Q300 is also heading north along the Trenton with CSX 7503 (C40-8) and CSX 7700 (C40-8W) in charge in this scene. If I come back to this location in another ten years, it has me wondering what will change and what will still be standing? Will the TL be double tracked to accomodate NJT's talked about restored passenger service along this line? Will foliage conceal the waiting room off to the left with its growth? What definitely won't be around is the old Route 206 bridge which is being replaced with a new bridge seen in the background. So check your email in ten years when I send along an updated image for you to view of this location! MCCALLA, ALA. -Norfolk Southern's CEO Wick Moorman and Alabama Gov. Robert Bentley joined state and local officials and business leaders today to officially break ground on the new Birmingham Regional Intermodal Facility here. The $97.5 million facility is part of the railroad's multi-state Crescent Corridor initiative to establish an efficient, high-capacity intermodal freight rail route between the Gulf Coast and the Northeast. It occupies a 316-acre site adjacent to the Jefferson Metropolitan Park in McCalla and is expected to open in late 2012. "The Birmingham Regional Intermodal Facility is ideally located to serve the Southeast and is a critical component of our Crescent Corridor," said Moorman. "We thank Secretary LaHood and USDOT for their efforts to form public-private partnerships to create jobs and economic development opportunities. We commend Gov. Bentley and his administration for their awareness of the economic and environment benefits this facility brings to Alabama. Finally, we recognize the Alabama Department of Transportation, the Alabama Development Office, the Jefferson County Commissioners, the Jefferson County Economic and Industrial Development Authority, the Birmingham MPO, and the Birmingham Business Alliance for their active participation in the planning of this project." "The Birmingham Regional Intermodal Facility will bring significant economic growth to McCalla and thousands of jobs to Alabamians. As our economy is regaining strength, companies like Norfolk Southern recognize Alabama is a great place to do business," said Governor Bentley at the ceremony. "This new terminal will enable goods to move more quickly throughout the country." The Birmingham Regional Intermodal Facility is expected to create or enhance 8,600 jobs in central Alabama over the next 10 years, and its capacity will grow to handle 165,000 containers and trailers annually. The terminal will utilize the latest in gate and terminal automation technology, which shortens the waiting time for trucks entering the terminal, improving truck driver productivity and air quality. Additionally, state-of-the-art low emission cranes and hostler tractors will operate within the terminal. In 2010, the Birmingham Regional Intermodal Facility was selected to participate in the Sustainable Sites Initiative (SITEST) Pilot Program. This national initiative, a partnership of the American Society of Landscape Architects, the Lady Bird Johnson Wildflower Center and the U.S. Botanical Garden, in conjunction with stakeholder organizations including the U.S. Green Building Council (USGBC), seeks to establish and encourage sustainable practices throughout each phase of a landscape's design, construction, operation, and maintenance periods. NS also will construct the main administrative building to LEED (Leadership in Energy and Environmental Design) Certification standards. The Crescent Corridor program of projects is estimated to cost $2.5 billion for full development. In addition to the McCalla facility, Crescent Corridor projects currently planned for development include new independent intermodal facilities at Charlotte, N.C., Greencastle, Pa., and Memphis, Tenn.; the expansion of the Harrisburg, Pa. intermodal terminal; and the addition of freight rail capacity in Virginia and Mississippi. In addition to facility investments, the program includes significant investments in rail route improvements consisting of additional passing tracks, double track projects, improved signaling systems and other track speed enhancements. Thursday, June 2nd is the opening of the Downtown Somerville Farmers Market. Stop by and say 'hello' to your favorite vendors from last year and welcome a few new ones to Somerville! The market is open noon - 5 pm, corner of Grove and E. Main Streets. After you have visited the Farmers Market, come visit the Big Little Railroad Shop located at 63 W. Main Street in Downtown Somerville. Also, on Fridays the Somerville Cruise Nights are in full swing, 5-9 pm on Main Street. Be sure to stop in the shop and say hello as you walk along Main Street inspecting the cars. One of my favorite locations was just east of Three Bridges (NJ) along the Lehigh Line was a place I dubbed the "Higginsville Cut". 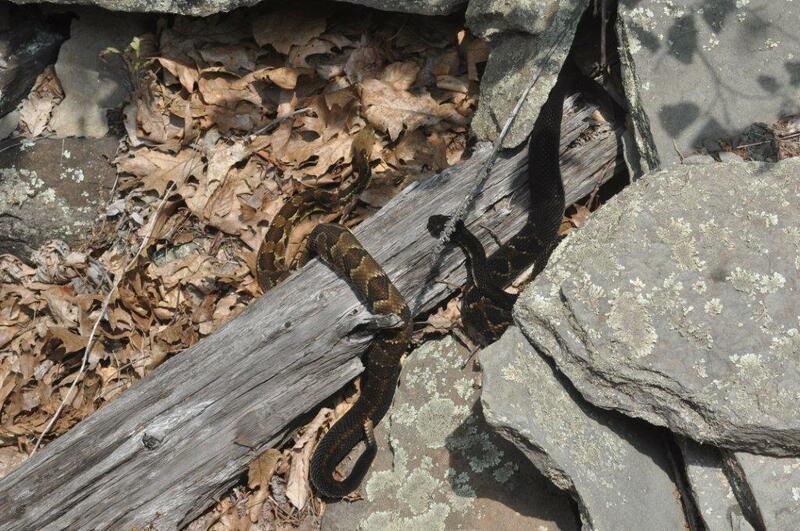 It is located east of the Higginsville Bridge and was primarily a walk in location. Having a eastbound train come along with good sunlight produced a scene that is not usually seen along this line. Such was a day back in April 1999 when CR 2562 (SD70) was leading a mixed freight through the cut. Perhaps that former CR unit is still leading trains through this spot as it is now renumbered as NS 2562. 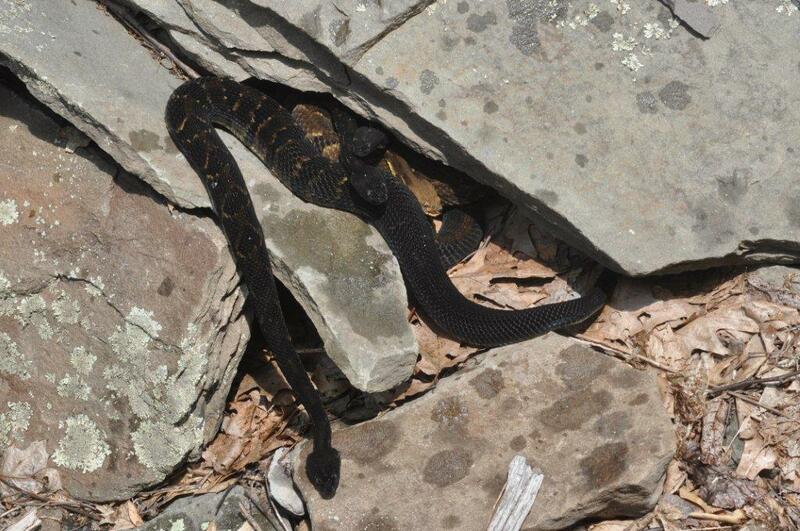 Another favorite photo spot of mine is visible in the upper left hand corner of the Higginsville Cut image. That spot would be the Higginsville Bridge. 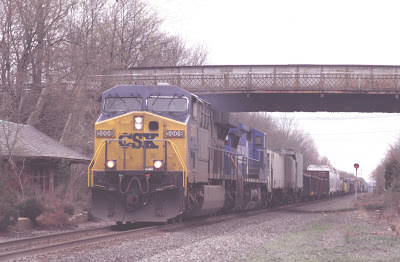 The date was March 17, 1998 as CR's ALSE is seen passing beneath the bridge with CR 5549 (SD60M) as its leader. Today, 5549 has been renumbered as CSX 8777. 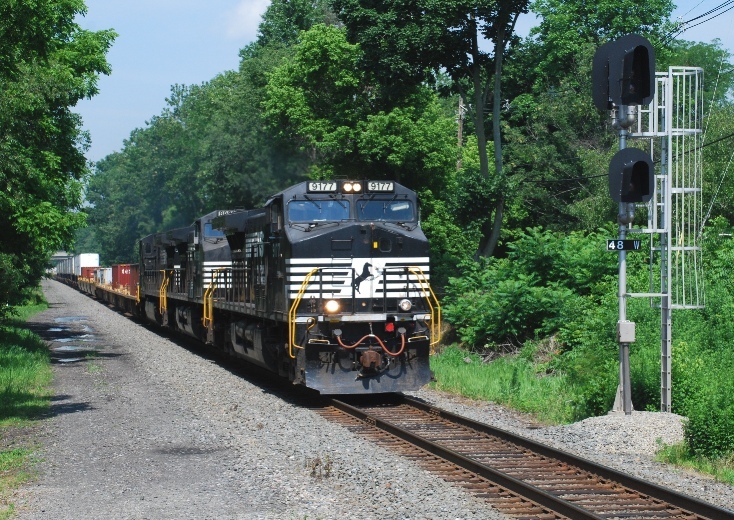 ALTOONA, PA. - Norfolk Southern Corporation will present an overview of the company's operating, financial, and strategic initiatives as part of its 2011 Investor and Financial Analyst Conference on June 8, 2011, in Altoona, Pa. Interested investors can listen via a simultaneous webcast and view presentation slides in the Investors section of Norfolk Southern's Web site at www.nscorp.com. The webcast will start at 8:30 a.m. and conclude around noon. Norfolk Southern Corporation (NYSE: NSC) is one of the nation's premier transportation companies. 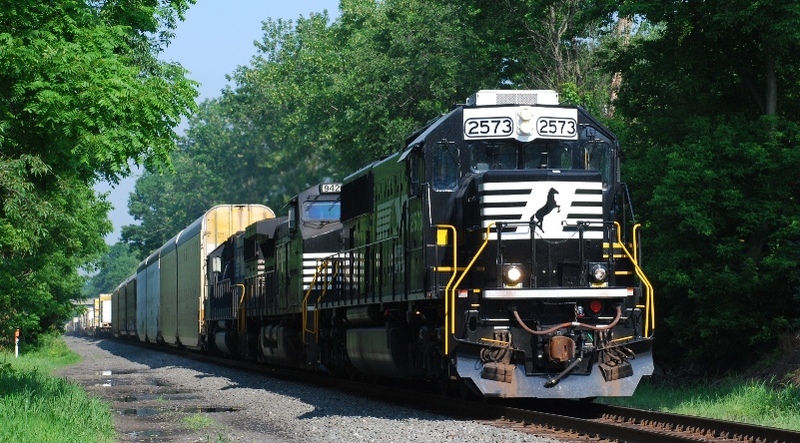 Its Norfolk Southern Railway subsidiary operates approximately 20,000 route miles in 22 states and the District of Columbia, serves every major container port in the eastern United States, and provides superior connections to other rail carriers. 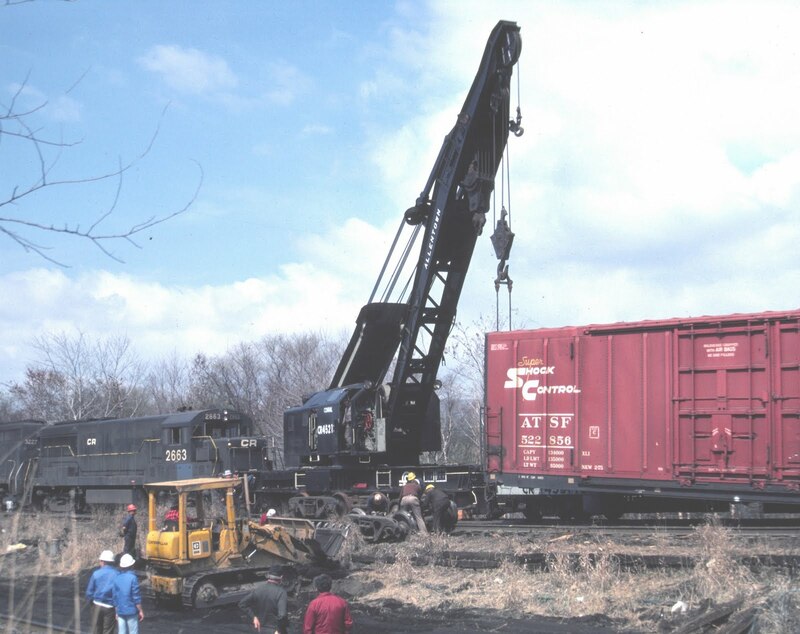 Norfolk Southern operates the most extensive intermodal network in the East and is a major transporter of coal and industrial products.